The funeral was well handled, the decor was impressive and the eulogy was beautifully written, but with moderate to severe hearing loss, you couldn’t hear the speaker. 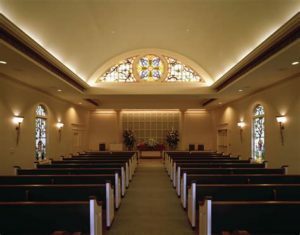 The ability to hear a sermon or eulogy at a funeral home for a relative, friend or co-worker is paramount for people in difficult situations. Installing a Hearing Loop System in funeral home chapels enhances the service for those with hearing challenges, by creating a comfortable experience for reminiscing and recollecting.